EMG guitar pickups have been around since the mid-seventies and are particularly popular with metal bands. Read on to find out why. Perhaps the defining feature of EMG guitar pickups, apart from their popularity with metal bands like Slayer and Metallica, and rockers like Zakk Wylde, is their initial use of bar magnets rather than magnetic poles (though EMG also now makes pickups with pole magnets). Pickup magnets come in two variations. In one, the poles themselves are magnetised; magnetic poles are used in humbuckers, for example. In the other, the poles are made of steel and there's either one or two bar magnets at the base. There are benefits to pole magnets too, however. For example, they reproduce the 'pluck' of a string more accurately than a bar magnet, which tends to produce a more even sound. EMG guitar pickups are designed to be easy to install, using the company's own Quick-Connect header and mating cable. And all EMG pickups come with pre-wired tone and volume controls, battery, and output jack. That pre-amp needs power of course. And the power comes from a 9-volt battery. The power turns on and off when you plug and unplug your guitar cable. EMG says that even playing eight hours a day, one battery should last a year, so you don't need to worry about it too much. 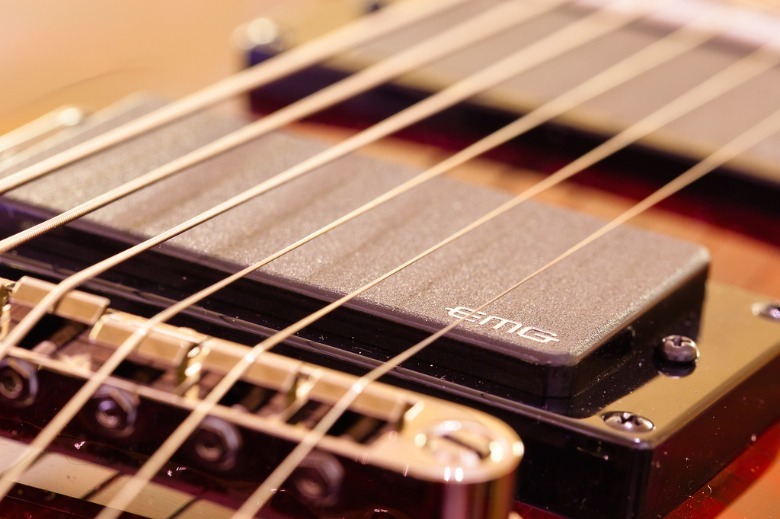 There are a few other features of EMG pickups, like low impedence, which means you can have a 100-foot long guitar cable without worrying about losing high frequency response, tone modelling, and noise reduction. You can find out more at EMG's website. 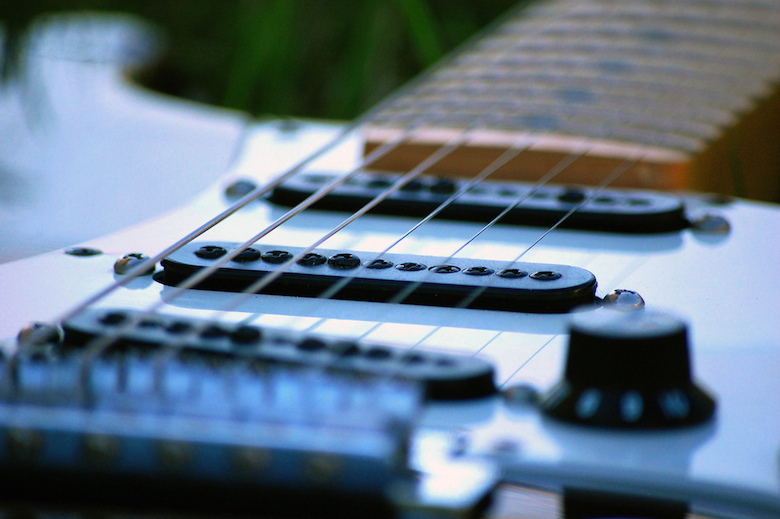 Read more about Alnico pickups here.